by Elizabeth Esten Pretty much every cinephile you will ever meet in your lifetime has a list of directors who changed the way they look at movies. My list is pretty long, but here is the condensed version: Quentin Tarantino, Danny Boyle and, most important of all, David Fincher. Fincher began his career back in the 1980s as an assistant cameraman for Industrial Light and Magic. In the ’90s, Fincher gained traction as a director with his work in music videos for artists like Madonna, Rick Springfield and Foreigner. 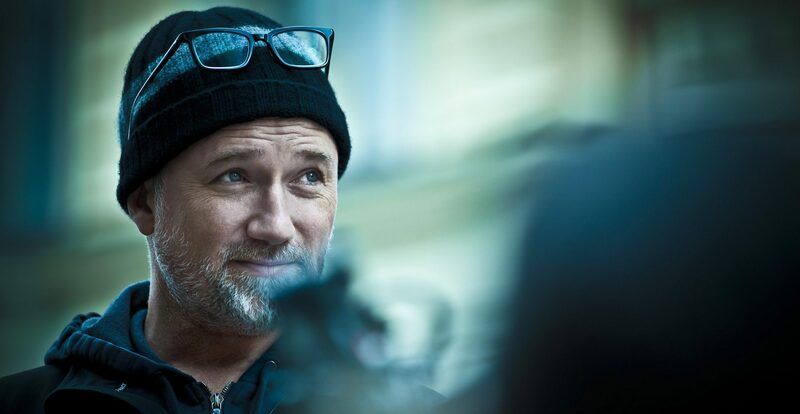 Fincher dove into the world of film in 1993 with Alien 3, and continued to work on his style in his almost 25 years working as a feature director. In honor of his 54th birthday, let’s take a look at how Fincher’s style has progressed and changed over time, hopefully without making an obvious Fight Club joke along the way. Excluding the disaster that is Alien 3, Se7en was the first chance Fincher got to begin to cement his style as a filmmaker. An homage to early noir movies in many aspects, the film drips with darkness and isolation. The rain is constant, signifying the darkness and loneliness of the city, without a silver lining in sight. 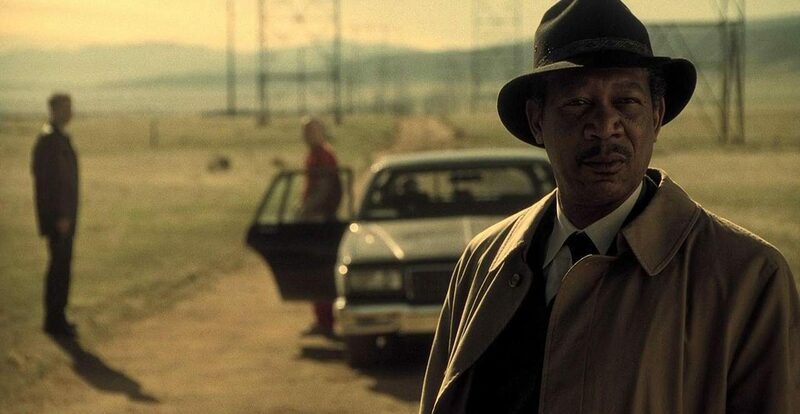 One of the challenges of Se7en’s screenplay (attributed to Andrew Kevin Walker) is that the antagonist, John Doe (Kevin Spacey), is only physically present in the film for the last 30 minutes or so. For most of the movie, our killer is simply a mystery. Without his physical presence, it’s difficult for the viewer to sense what our killer is like. But what Fincher does so brilliantly is make you feel his presence starting at the very first crime scene. He does this by simple means, whether it’s through an eerie shot that feels like a POV or a slow camera move that adds tension, John Doe is always present and watching, even when Mills (Brad Pitt) and Somerset (Morgan Freeman) don’t realize it. Because of these deliberate choices in direction, Doe’s character introduction in the third act doesn’t feel sudden or jarring, but instead, a natural progression of the narrative proper. Se7en is one of the most well-directed and well-constructed movies I’ve had the pleasure of watching, keeping the intensity and eeriness of the story high from the onset while also seamlessly creating a universe soaked in hopelessness. Originally published in 1995 by author Chuck Palahniuk, Fight Club is the ultimate cult film. It’s on so many people’s personal “best films of all time” lists (especially with guys) and I’d say it’s more than worthy of all the praise it gets. As my brother puts it: “Fight Club is badass.” I have to agree with him. Fight Club is incredible in so many ways, but especially in its direction. Trading in the noir touches for something much more energetic, the film is defined by a striking stylistic approach and evocative imagery. The film has a kinetic energy to it, from its vibrant color scheme to its fast editing in the fight scenes. This kind of story has a very different kind of tension, and Fincher directs it expertly. The goal is not only to build up the big twist at the end, but also make the audience question how far Durden will go to inflict chaos on this world he sees as broken. Fincher achieves this by leading up to the twist with subtle hints (like a character’s small glance or the blocking of a scene) and progressively showing the deterioration of Jack’s psyche. 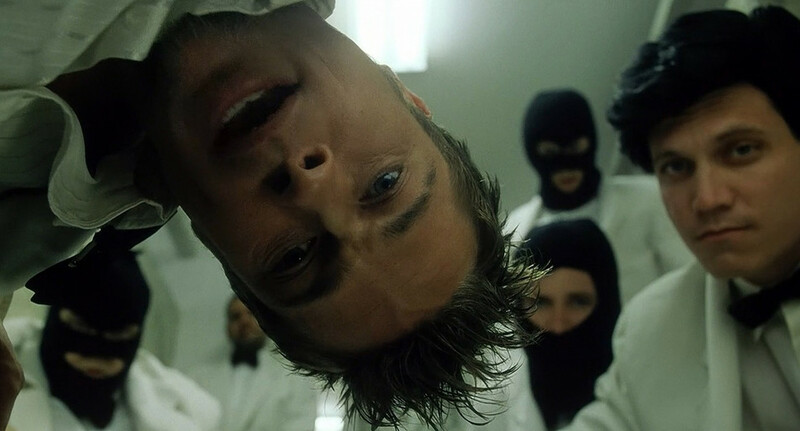 This is also the first true collaboration between Fincher and his longtime cinematographer, Jeff Cronenweth (although Cronenweth did serve as a camera operator on Se7en). While Fincher’s love of the tracking shot isn’t as evident here, you can see the seeds being planted for their future collaborations. The color scheme is also much brighter in spots while also keeping a “darker” vibe. The bursts of color work so well because they bring a visual punch to Fincher’s message about the falseness of buying crap to make you happy or beating up random guys to get your anger out, as most of the bright spots are advertisements and lights in the basement where characters fight. Fight Club works on so many levels, and though it’s not my favorite of Fincher’s filmography, it holds up insanely well and its message rings true in a lot of ways. Out of all of Fincher’s work, The Curious Case of Benjamin Button is the most polarizing (to me at least). Based on the 1922 short story of the same name by F. Scott Fitzgerald, the film doesn’t fit what I would expect from a director who loves dark stories and tends to shy away from whimsy. Maybe that’s what makes it good, though? The story of the titular Button (Brad Pitt), deals with themes of love, loss and the ever-changing nature of life. They are dealt with well, as expected, but as a fan of Fincher’s darker works, I’m not sure how to feel about it. It’s not the technical execution, but there spots in the movie where the direction feels somewhat detached and you can see Fincher losing interest in his own movie. This isn’t to say this movie is bad, though, as the themes are nicely fleshed out, especially in the visual language. However, after giving it some thought, I think I figured out my problem: the movie feels clichéd because of the very themes it presents. The best Fincher movies challenge your perception of a topic, whether it be a murder case or the life of a reclusive CEO. Curious Case feels too safe and predictable at times. I think the best movies push the viewer to reexamine something about themselves. This movie shies away from that. The images are arresting as always, the performances are strong, the script is solid and the direction is fine. But in the end, I really don’t have much to say about this one. I remember aspects of the movie, but as a whole, it just doesn’t stick with me in a meaningful way. Based on the life of Mark Zuckerberg, the man who created Facebook in 2004, The Social Network is regarded by many as one of Fincher’s best films, which is honestly like picking the most shiny piece of gold in the grand scheme of his filmography. For me, though, I would have to agree on multiple levels. The Social Network is one of my all-time favorite movies, so I can’t help but gush about how amazing it is. The score, the performances, the cinematography and the script are all utterly fantastic. But it’s Fincher’s direction that makes the movie such a great product. The visuals are some of the strongest I’ve seen from him and his use of contrast throughout is incredibly impressive. There is such simple brilliance in choices like cutting to an empty chair to impart how lonely and lost Mark is feeling throughout the court hearings — this being done instead of the more conventional method of showing him in a large empty space. Fincher also plays with intercutting two sequences that seem vastly different on the surface, but are much more alike if you give it an ounce of thought. My favorite of all of these is in the very beginning of the film, where he intermingles Mark and pals creating a website that compares the attractiveness of Harvard women with a rowdy fraternity party. Depicting two different types of young alpha males, one more chaotic and obvious and the other more subtle, the scene carries a dark undertone. While the party more deliberately shows the frat brother manipulating and using woman for entertainment in more “old school” ways, Mark and company use technology to treat their fellow classmates as objects to be judged for the sake of it. This sequence immediately establishes that Mark is no better than the party-goers that he criticizes. The score of this film (composed by Trent Reznor and Atticus Ross) is so flawless I could talk about it for hours, so I’ll try to hold back for now. Throughout the runtime, Fincher allows the score to shine in scenes that contain very little dialogue. Reznor and Ross’s music adds so much to the mood and how the audience experiences what the characters are going through. Take one scene in which Mark is sitting at his computer waiting for his ex to accept his friend request. The music in that moment imparts the anxiety Mark is feeling under the surface of a dead stare. Perfectly crafted, The Social Network is a must-watch for anybody who loves great storytelling. Adapted from the novel of the same name by Gillian Flynn, Gone Girl is one of the most captivating movies of the past five years or so. Never have I seen a film where the audience was so incredibly divided on who they should root for or which character is in the right. Because when it comes to this story, the truth of the matter is that none of the characters are making smart choices — the film thrives on moral ambiguity. The world is not black and white, no one person is purely evil or an angelic figure who can do no wrong. All people have the capacity to do bad things and be selfish dicks, no matter how many good things they do. Gone Girl firmly believes in this way of thinking, but since this is a movie, the audience is searching for someone that they hope succeeds and gets what they want in the end. What Fincher does seamlessly is shift where the loyalty of the audience lies, while also shifting the perspective through which the story is told with the script and visual language. We first follow Amy (Rosamund Pike) and see the state of her marriage from her perspective. The viewer begins to trust Amy and sympathize with her and her struggle. But when we discover that her side of the story is fabricated in many aspects, we lose that trust and shift to Nick’s (Ben Affleck) side. This goes on for the whole story, culminating in a finale that breaks the mold of the traditional Hollywood ending. These shifting perspectives are what make this movie stand out and make the nearly three-hour runtime so compelling and intriguing. The performances also help punctuate these shifts, the standouts being Affleck and Pike as our very problematic married couple. While the story is the strongest aspect of the movie by far, the visuals continue to be as striking as ever. Sticking with a cooler, darker blue color palette, Jeff Cronenweth’s visuals add to this world where everyone involved in the situation is untrustable. The movie feels slick in its style while keeping an ominous tone throughout. Fincher also has a tendency to linger on characters as they process what their next move is going to be. These long, unbroken takes are extremely effective in conveying the loneliness of the character, but also the confusion they feel as they contemplate what to do. Gone Girl is one of the strongest movies in Fincher’s filmography, with such clean storytelling and amazing performances you can’t help but be impressed. With excellent visuals and a haunting mood that may be impossible to replicate, Fincher once again proves himself as one of the greatest filmmakers working today.